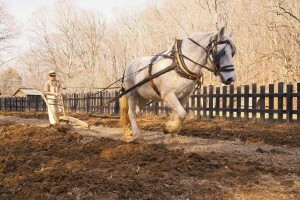 See draft animals at work, learn about the kitchen garden, or participate in the preparation of the noon meal. Watch as craftsmen work wood in the old fashioned way. Find out how wooden shingles were made and see them in use on the buildings of the farm. Also, a variety of special events, such as the Pickin’ Party, Independence Day Celebration and Trade Fair are presented each year.